System 10 Stompbox, Pedal/Controller from Audio-Technica in the System 10 Wireless series. Audio-Technica adds to its System 10 Wireless Series the Stompbox footswitch designed with guitar players in mind. 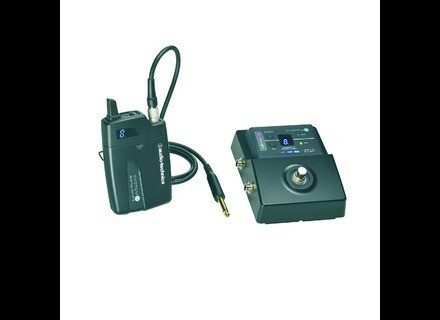 Available under reference ATW-1501 Stompbox, this new Audio-Technica wireless system operates on the 2.4GHz bandwidth. 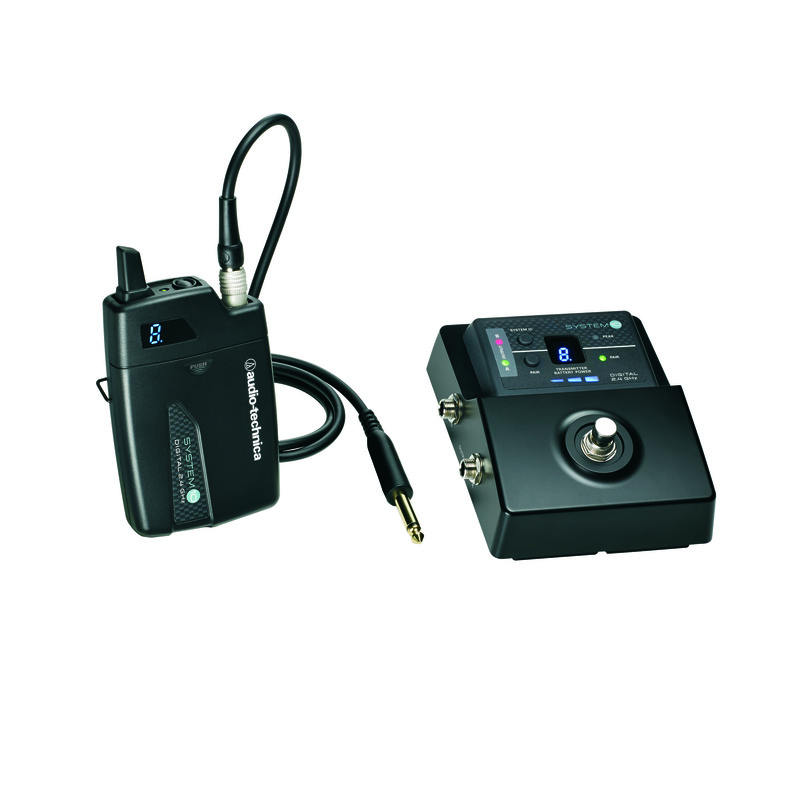 It comprises the ATW-R5100 footswitch equipped with two 1/4” outputs and an output mode selector, as well as the ATW-T1001 Unipak pocket transmitter. A guitar cable and Velcro strips are also provided in the pack. The Stompbox wireless system can be used, for example, for switching between guitar amps, mute an output without affecting the other one, an you can couple the receiver to up to 8 Unipak transmitters. Audio-Technica included three “Diversity” levels that will guarantee the communication reliability. The transmitter uses two dynamically-allocated frequencies (frequency “diversity”), while the receiver is equipped with two antennas (antenna “diversity”). Last, the time “diversity” sends 24-bit / 48kHz digital data within different time slots. The Stompbox features a display in which you can monitor the HF channel used, the level of the battery of the transmitter and audio signal peak / coupling. The System 10 Wireless Stompbox will be available this Spring for the suggested EU price of 319€ excl. VAT. You’ll find more info at eu.audio-technica.com. [NAMM] The Mu-Tron III is back Mike Beigel launches under the Mu-FX brand a new version of the 70s Mu-Tron filter effect named Tru-Tron 3X. [NAMM] Music Man Axis Super Sport Hollow-Body Music Man introduced at NAMM 2014 a new hollow-body version of their Axis Super Sport electric guitar. [NAMM] New Cort CR Les Paul guitar Les Paul shape fans can discover at Cort’s the new CR230 electric guitar, which was introduced at NAMM 2014.